Reading is an extremely important skill that all students need to continue to improve on throughout the school year. The way to do this is with a great deal of practice. We support this in the classroom everyday through the use of our Reader’s Workshop and the students love it. I believe in a program that allows children time to choose books that they want to read and provide them with rich literature to develop positive reading skills. Children need multiple experiences to explore books, both in school and at home as well. Our classroom has a well balance literacy program that offers students many reading opportunities. Reader's Workshop allows students to independently choose “just right” books at their ability level. It provides an opportunity for meaningful mini-lessons with an ample amount of time to practice the skills both independently and through guided practice. Our reading program consists of many reading experiences and projects which will broaden the students’ literacy foundation and enhance skills. Students will be provided opportunities during our reading block to read independently, read to a partner, listen to reading, or visit reading resources on the iPad. 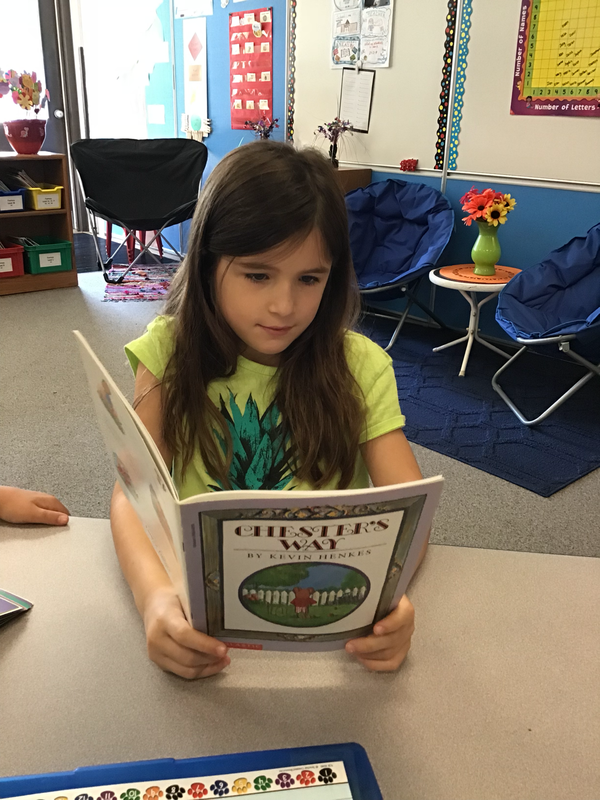 Throughout the year students will focus on setting individual reading goals which spotlight comprehension, accuracy, fluency, and expanding vocabulary. These goals will be practiced through independent practice, small group instruction, and individual conferencing.